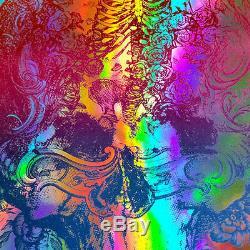 Rainbow Foil Edition on only 15!!! Size is 16 X 20. This Grateful Dead-inspired art print celebrates the band's incomparable 50 years. S famous'skull and roses' image. Poster is Signed & Numbered #/15 by artist who made the print. 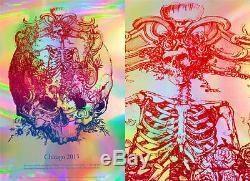 The item "Grateful Dead Chicago Print Poster GD 50 Fare Thee Well S/N #/15 Rainbow Foil" is in sale since Wednesday, August 5, 2015. This item is in the category "Entertainment Memorabilia\Music Memorabilia\Rock & Pop\Artists D\Dave Matthews Band".